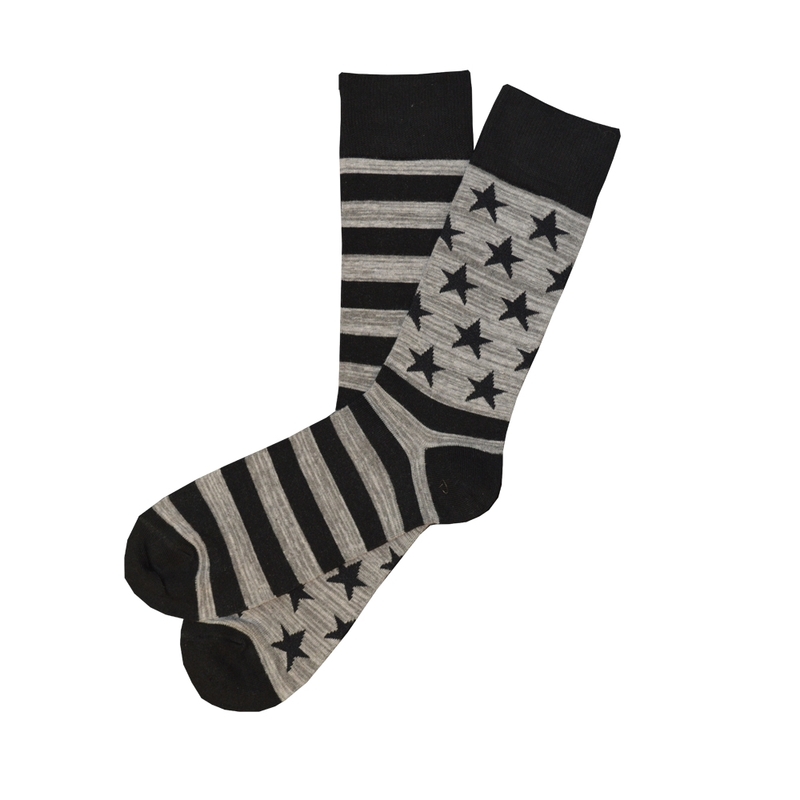 July is a fun month here at SOS, as we always look forward to putting out a new Independence Day themed sock. Help us celebrate the 4th this year with a bang, by rocking The Abe -- a subtle black and gray grindle design to resemble the American Flag. I ordered a last minute birthday gift for my husband. He's a teacher and known for his FUN socks, so this fit the bill. He was so excited to wear his new socks and loved them all. He got the Chuck, GenKC, Landon, Ty and Jack. great quality and super fast shipping. These are quality socks....! !